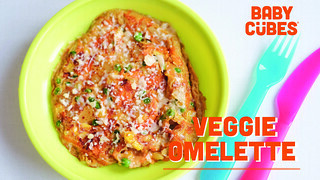 BABY CÜBES: VEGGIE FRITTATA OMELETTE! 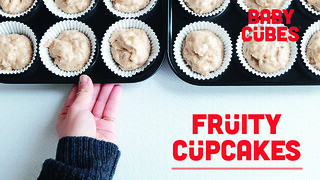 BABY CÜBES: FRUITY BANANA CUPCAKES! There's never enough snack recipes for our little hungry toddlers! We love batch cooking when making this fruity cupcake recipe! It's filling and nutritious but also yummy. We highly recommend this one! 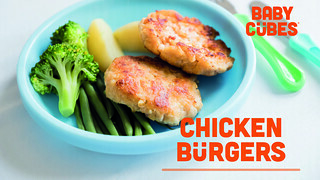 BABY CÜBES: CHICKEN BURGERS WITH SNEAKY VEG! We discovered this recipe when we were experimenting with our #greencübes to make quick and easy snacks for Karis' little toddler Rocco. As a growing boy, he snacks often and loves these muffins! 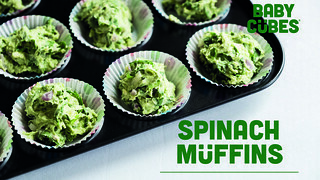 BABY CÜBES: SPINACH MUFFINS RECIPE! 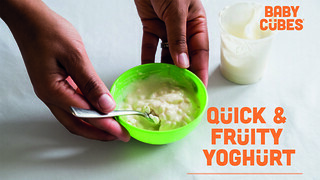 BABY CÜBES: QUICK AND FRUITY YOGHURT RECIPE! Are you ever in a hurry, want to feed your kid a nutritious healthy meal for breakfast but have no time and don't want to be a lazy mum or dad? We've got your back with this recipe! 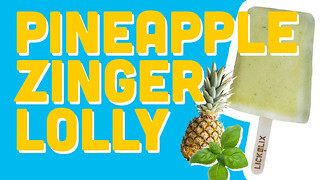 VEGAN PINEAPPLE ZINGER ICE LOLLY RECIPE! 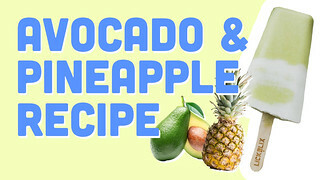 VEGAN AVOCADO AND PINEAPPLE RECIPE! Who doesn't love avocados? We're a big fan so we created this summer lolly recipe to satisfy your avocado cravings. A creamy blend of avocado, coconut milk and sweet pineapple... What more could we ask for? 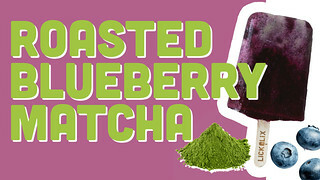 VEGAN BLUEBERRY MATCHA ICE LOLLY RECIPE! If you're looking to cool down this summer, make sure to check out our vegan blueberry matcha ice lolly recipe. It's a crowd pleaser with the family and guests. Our new fruity lolly video is here! #fruityfridays. Watch it, share it, like it, love it! And please don't forget to comment too. Check out the really cool still photos in our Gallery! Come and invest in Lickalix! We’re crowd funding to raising money to grow our business and launch our lollies nationwide. Love our lollies and want to be part of lickalix? Check out our funding pitch here on Crowdcube. Watch this Jamie Oliver's Food Tube video to learn how to make this beautiful two-toned watermelon and kiwi ice lolly! This lolly is sweet and tangy - a crowd favourite! Watch this Jamie Oliver's Food Tube video to learn how to make a refreshing straw- berry lemonade ice lolly with whole blue- berries! Children and adults love this sweet and sour combination. The whole blueber- ries are so much fun as well! Watch this Jamie Oliver's Drinks Tube video to impress your friends with a colour- ful frozen treat! This white wine sangria ice lolly is the perfect pudding to end your dinner party with! What is an Iced Bellini? 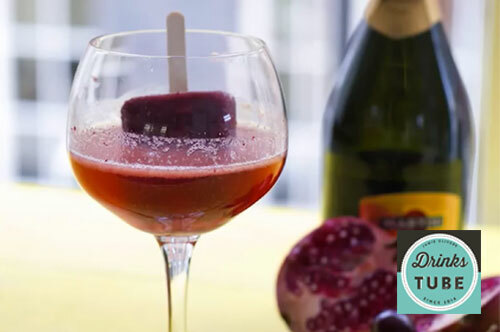 Watch this video on Jamie Oliver's Drinks Tube and learn how to make a Cherry & Pomegranate iced lolly and top it off with some Prosecco or champagne to make an Iced Bellini! Watch this Jamie Oliver's Drinks Tube video to impress your friends with a colourful frozen treat! This white wine sangria ice lolly is the perfect pudding to end your dinner party with! We feed our fruit waste to Betty & Penelope at the local city farm...check them out!